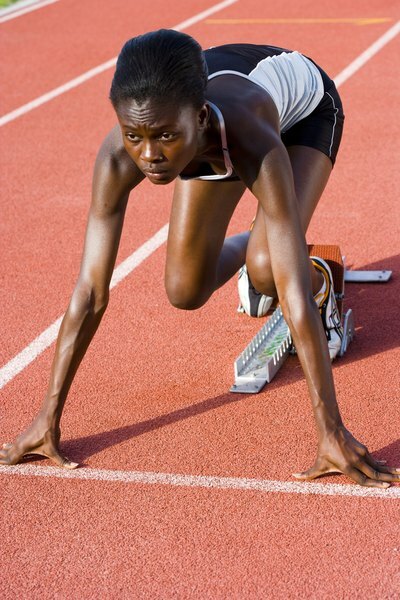 Becoming skilled at using starting blocks is critical for any sprinter. The sprints are track and field's marquee events. At the Olympic Games, these events include the 100, 200 and 400 meters. Clearly, a wealth of natural foot speed is the primary requirement for reaching the world-class level in sprinting. Nevertheless, the training among those of Olympic caliber is highly technical, periodized and comprehensive, and it entails a lot more than merely running fast for a few months out of the year. Clyde Hart, who coached at Baylor University for 42 years and guided Michael Johnson and Jeremy Wariner to multiple Olympic gold medals and world records, divides the world-class sprinter's training into four segments: pre- or offseason, early competitive season, midcompetitive season and late competitive season. The aim is to have his athletes "peak" for the end-of-season championship meets, which with respect to the Olympics means August. Each one of these phases emphasizes different training styles to different degrees, with the focus shifting from strength and endurance in the offseason to technique and power in midseason to almost all speed and technique at season's end. Olympic sprinters typically do not compete in the fall months. Instead, they build a base of strength by doing easy distance runs, emphasize "speed endurance" by performing repeat track runs longer than their goal race distance at a submaximal pace, and work on technique, such as getting out of the starting blocks cleanly. 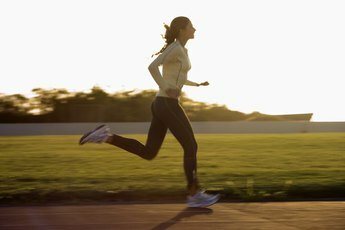 By building this fitness base, they set themselves up to be able to handle more of the race-pace, high-intensity training in the months to come. Beginning in the winter for elite athletes in the Northern Hemisphere, total training volume is reduced, the length of track repetitions begins to scale more closely with goal race distance -- for example, 200-meter specialists might do a workout consisting of three times 250 meters at 90 percent effort with five minutes' rest in between reps -- and emphasis on technique and form reaches its annual pinnacle. Athletes are unlikely to cut back on off-the-track training such as lifting weights and doing drills, because they do not need to be fully rested for whatever trivial meets they will encounter in this phase. The goal in the last few months before the Olympic Games is to sharpen sprinters by reducing their workload further and focusing on event specificity. 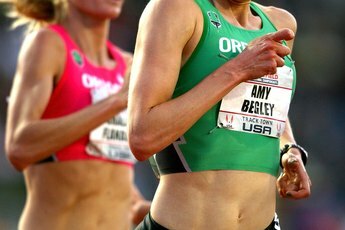 Potential Olympians typically must qualify for their Olympic team about two months before the Games themselves, so by this time, athletes may take complete rest days on occasion, run more races, work exquisitely on the first 20 to 40 percent of their goal race distance, and cut back on weights and drills. This "tapering" is designed to allow athletes who have been training very hard for nine-plus months to reap the benefits of their work by going into the most important competitions physically and mentally fresh and ready to go after a spot on the Olympic podium.